In the explosive final season of this groundbreaking series, Kelly Garrett (Jaclyn Smith) and Kris Munroe (Cheryl Ladd) are joined by streetwise new Angel Julie Rogers (Tanya Roberts) to solve crimes as only they know how. Combining beautiful scenery, thrilling action and (of course) stunning beauty, the Angels deal with brutal kidnappers, dangerous divers and even a gang of ruthless dune buggy drivers. Along with their loyal confidant, Bosley (David Doyle), the Angels use their brains, toughness and good looks to take down wrong-doers throughout this seventeen-episode season. Newly remastered. 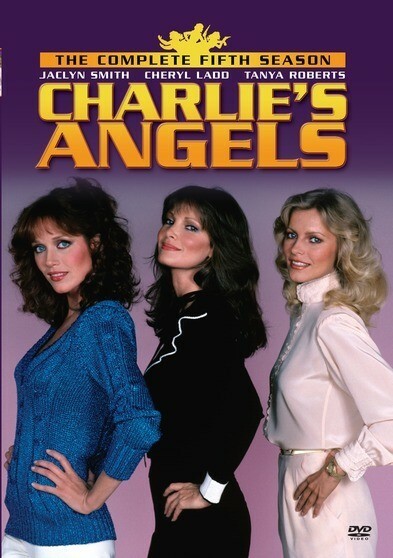 Starring: David Doyle; Cheryl Ladd; Tanya Roberts; Jaclyn Smith – 1980 – COLOR – 17 Episodes – 4 DVD Set.